As part of a £1.6 million fire safety project, Hochiki Europe has been chosen by Masterfire Life Safety Systems to provide a complete life safety solution to protect the Sligo Regional Hospital and its hundreds of patients. Providing medical care to the residents of Sligo, Leitrim, South Donegal and West Cavan, Sligo Regional Hospital is spread over seven stories and houses up to 400 patients. With such large numbers of building occupants at any one time, the hospital presented a number of challenges and required a highly reliable life safety system that complied with all relevant regulations. Following a competitive tender, fire protection and life safety company, Masterfire, was commissioned by the hospital to oversee the installation of a new complete life safety system. To ensure optimum protection for the building and its patients, Paul McNulty, Sales Director at Masterfire, drafted in Hochiki Europe to provide multiple safety solutions. 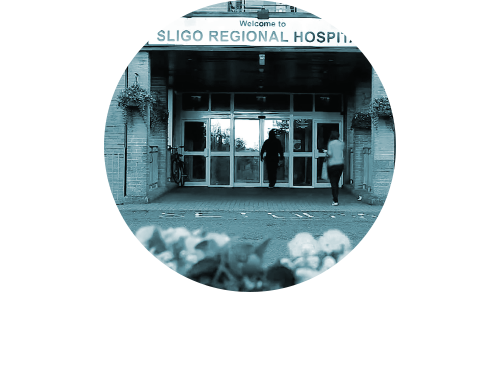 Sligo Regional Hospital's brief focused on the need to meet stringent hospital environment regulations. Hochiki Europe's FIREscape system is fully compliant with all European emergency lighting standards, making it the optimum solution. Alongside this, the system ensured that extra low voltage cable could be utilised, speeding up installation time and eliminating the risk to building users. Masterfire also specified the use of Hochiki Europe's ESP intelligent (analogue addressable) fire detection range. With a complex building design and multiple occupancies, the ESP range's proven reliability and software enhancements provided the hospital with a system that virtually eliminates false alarms. Installing the ESP solution meant that patients and staff can now use the hospital without interruptions or panic from false alarms, while saving valuable resources by avoiding Fire Response charges. Masterfire and Hochiki Europe provided Sligo Hospital with 34 FIREscape panels, with 3,800 lighting devices all monitored via a full graphics package. While the fire alarm system comprised 49 control panels linked to 4,000 devices throughout the premises. Marguerite Heavey, Fire & Safety Officer at HSE Northwest Estates Department, said: “Throughout the project, both Hochiki Europe and Masterfire worked extremely hard to control infection and protect our patients and staff.